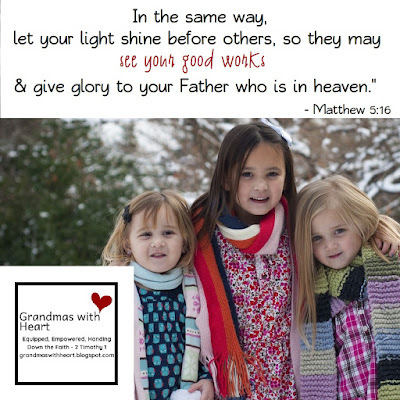 grandma's cookie jar: Top 5 Reasons for Focusing Our Grandchildren on Giving at Christmas! Top 5 Reasons for Focusing Our Grandchildren on Giving at Christmas! 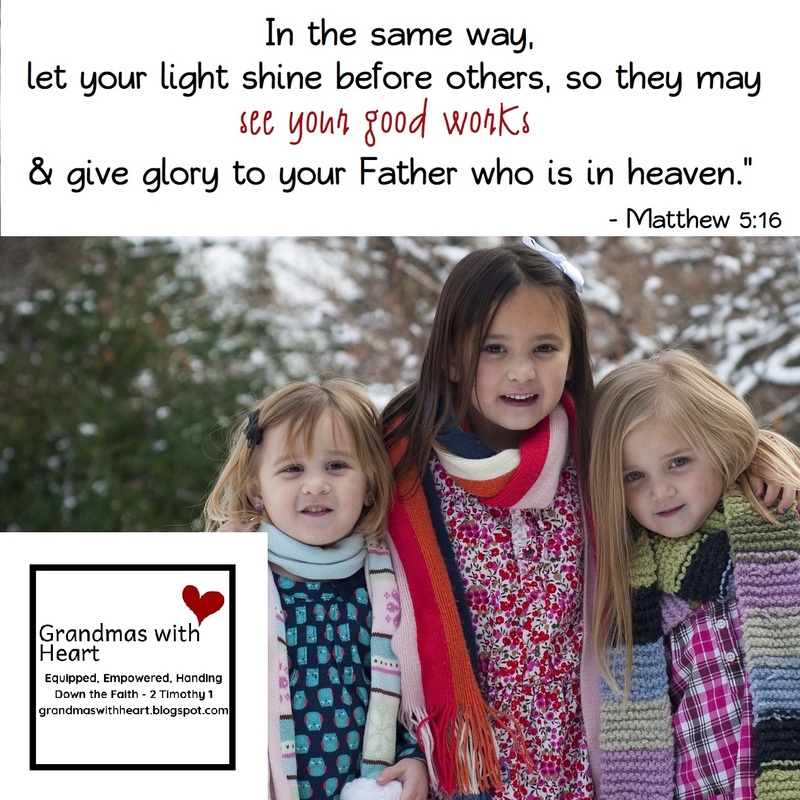 This morning I posted on my other blog - Grandmas with Heart - about a way to help our grandchildren focus upon giving in a season where the focus is often upon receiving. I wrote . . .
Ah, yes . . . Christmas time is here, or at least many believe so, since we celebrated Thanksgiving yesterday, many of us put up our Christmas trees yesterday (guilty as charged!) and today people are out shopping for bargains. Christmas time is here and while children are likely to focus upon the gifts they hope to receive . . . as for many children it is their favorite time of year, I believe it is the ideal time to redirect their focus to giving to others! So . . . here are my Top Five Reasons for Focusing Our Grandchildren upon Giving at Christmas . . .
You will find the full post at this link.